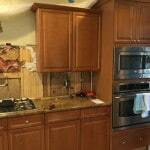 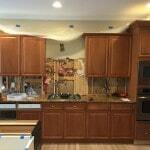 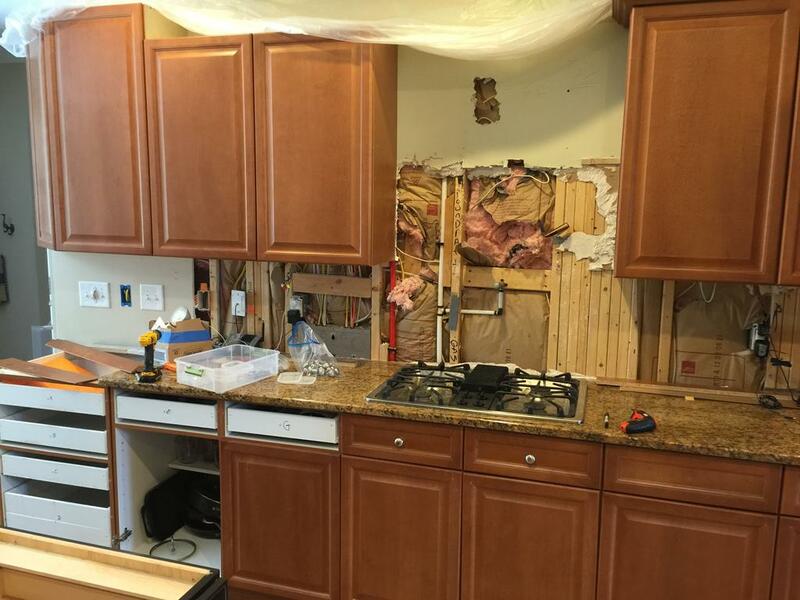 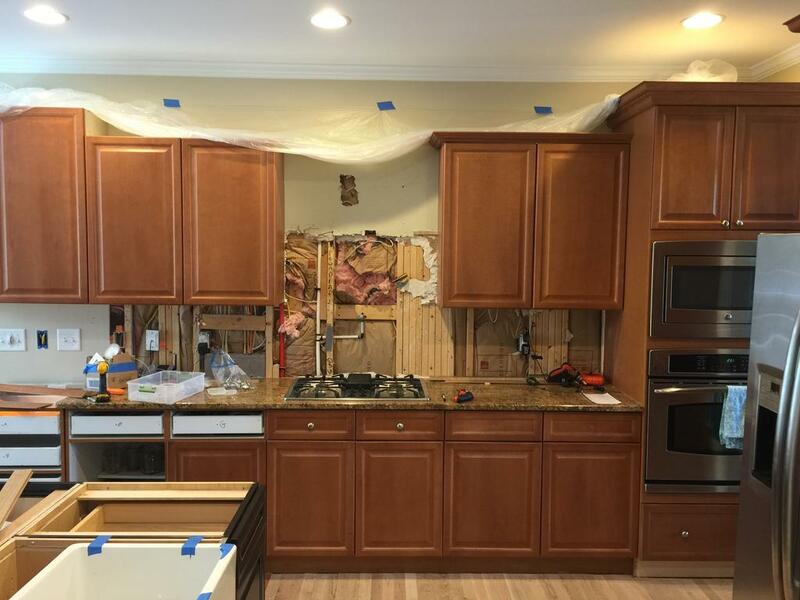 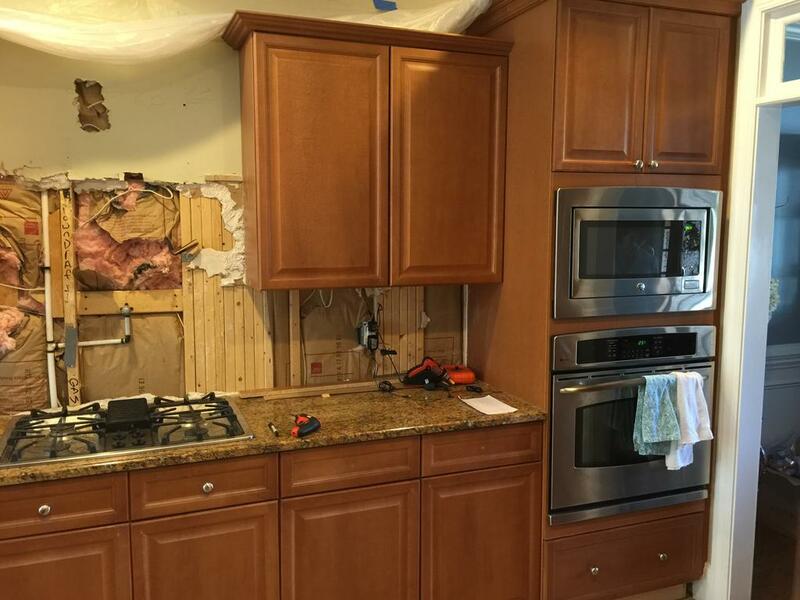 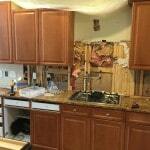 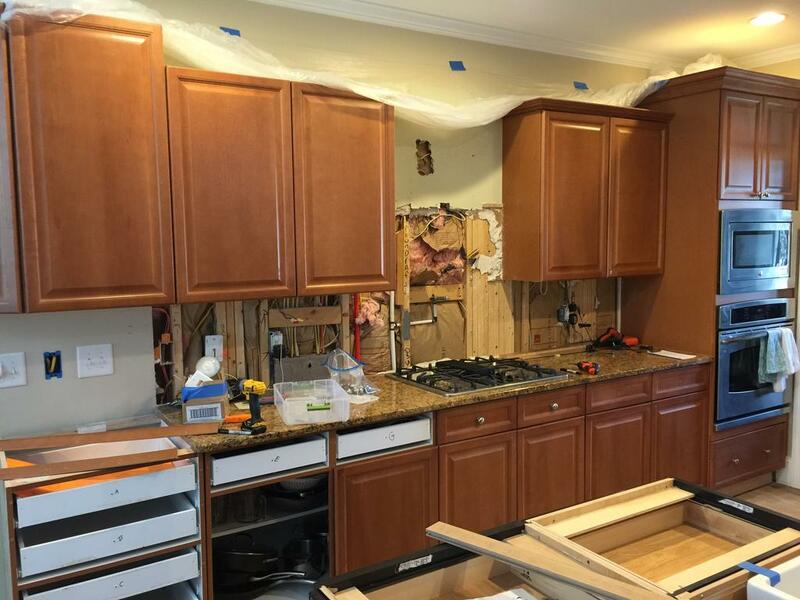 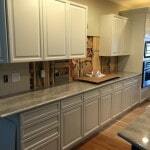 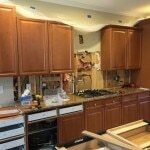 This kitchen was undergoing a Huge renovation while we were there. 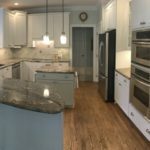 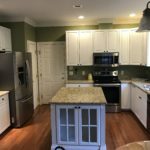 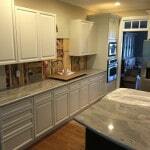 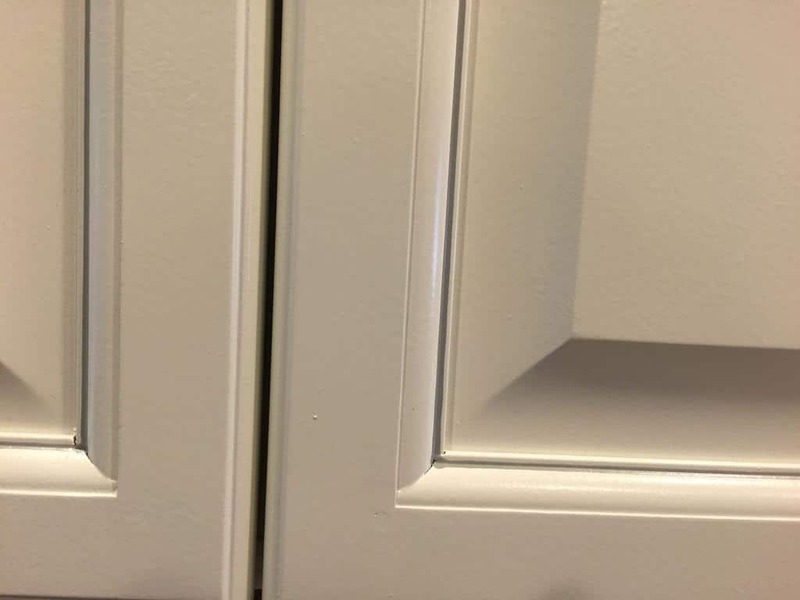 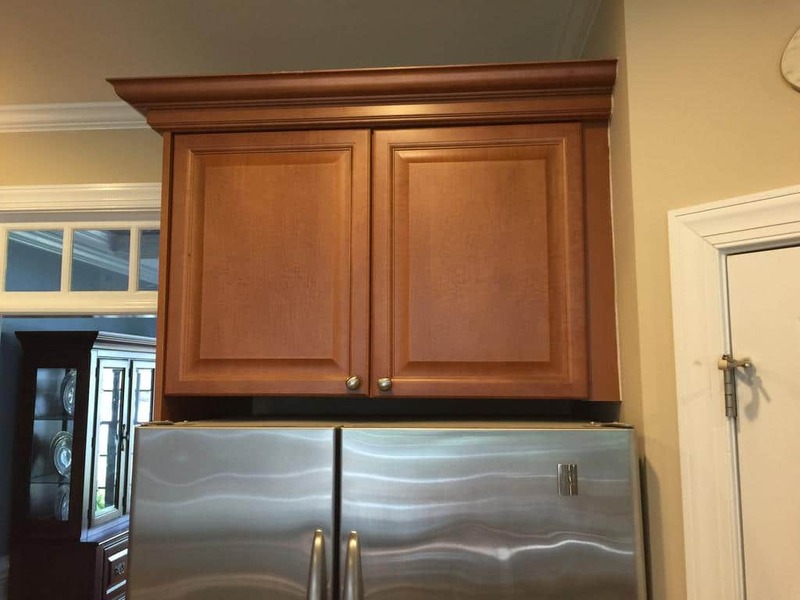 Our contribution was updating the cherry toned cabinets, to Benjamin Moore’s China White, and then adding a Pewter pinstripe glaze. 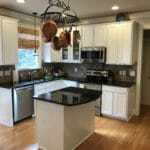 The look is so current, and blends perfectly with the new granite counters, glass backsplash, black island, new fixtures and hardware. 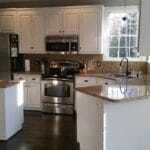 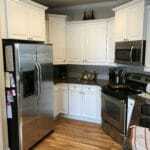 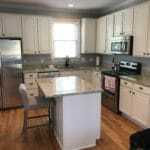 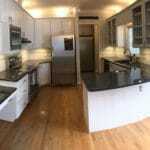 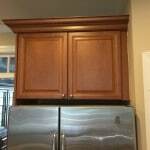 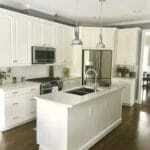 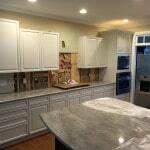 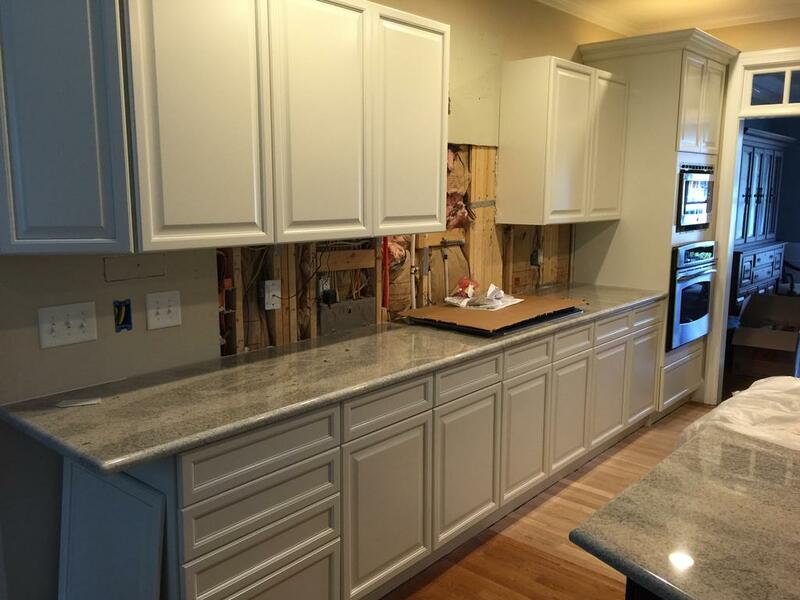 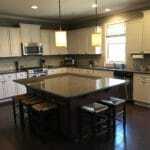 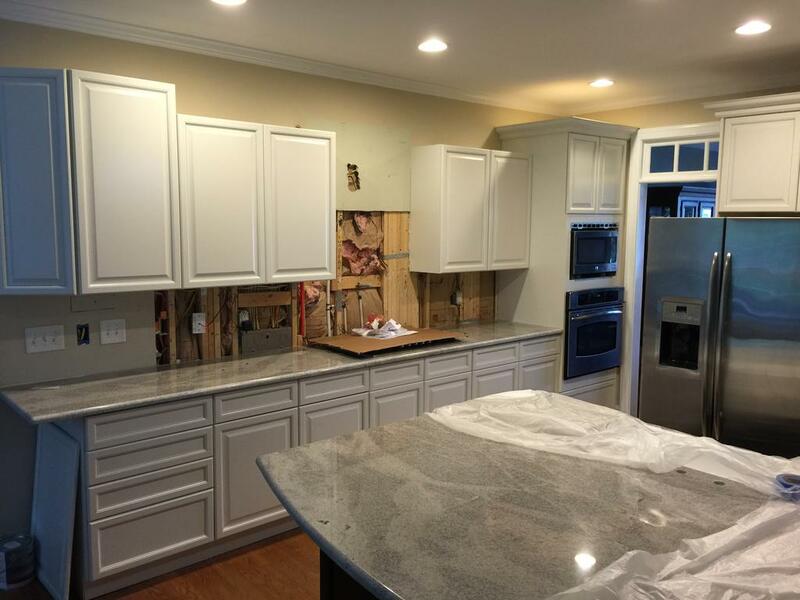 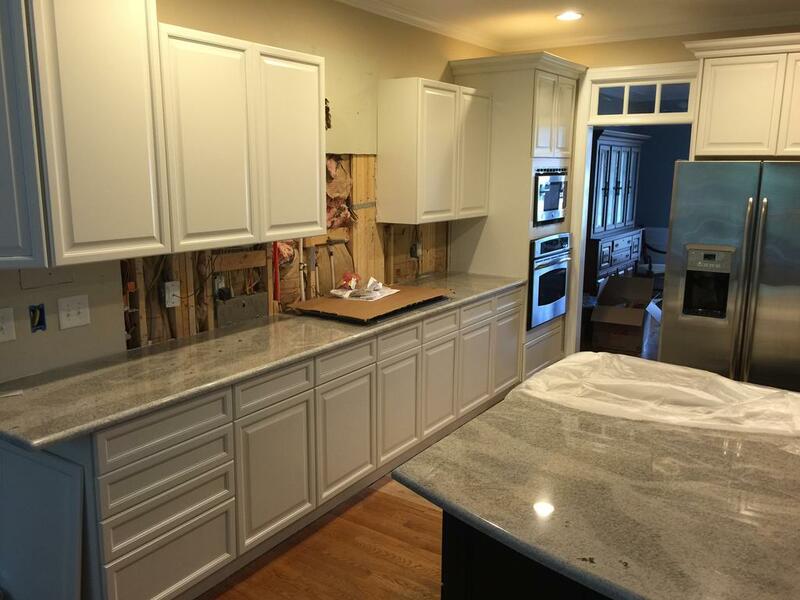 Now the homeowners have a custom looking kitchen that rivals those in this year’s Parade homes! 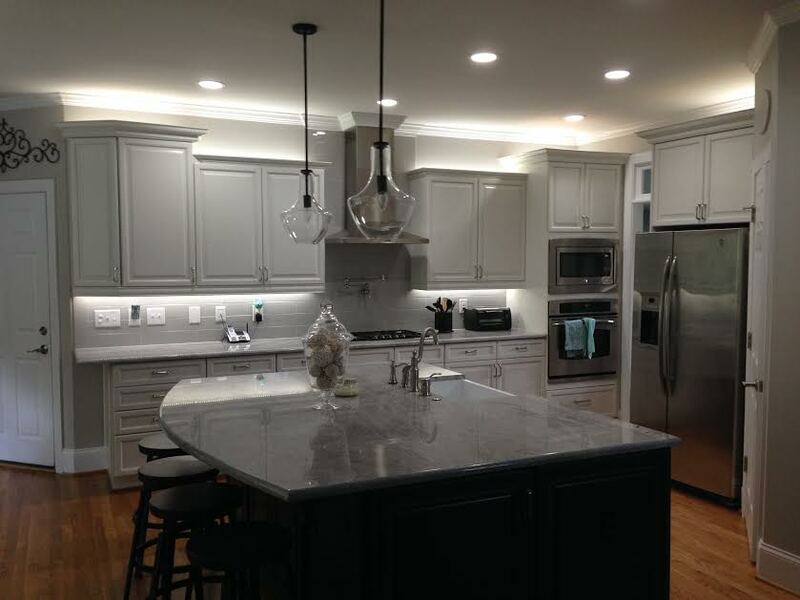 Before the final touches were added to the kitchen – new hardware, glass backsplash, stainless steel range hood & new lighting!